Tricky. That was the word used by most sailors coming off the water after today’s racing. The wind was not overpowering, but the wind shifts just didn’t seem to come in regular or identifiable patterns. After the postponement of races yesterday, Race Committee worked to get in three races today which they just managed, though the third race ended in fairly light conditions. In the Radial fleet, very few sailors expressed satisfaction with their performance on the day. But in the Provisional results, there were a few standout performances that at least warrant some amount of contentment. Mária Érdi (HUN) finished with two firsts on the day sandwiched around a 10th, giving her the early lead of 2 points over Louise Cervera (FRA) and 7 points ahead of Dolores Moreira Fraschini (URU). The two Standard fleets, in addition to dealing with tricky weather conditions also had to contend with a very congested mark rounding. 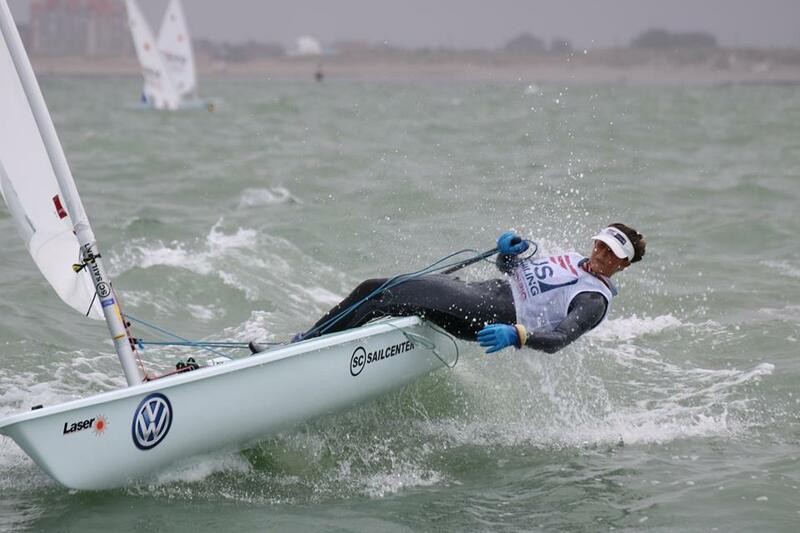 Getting stuck out of position easily cost some sailors dozens of places in the standings. With only three races completed it is still anyone’s regatta to win. 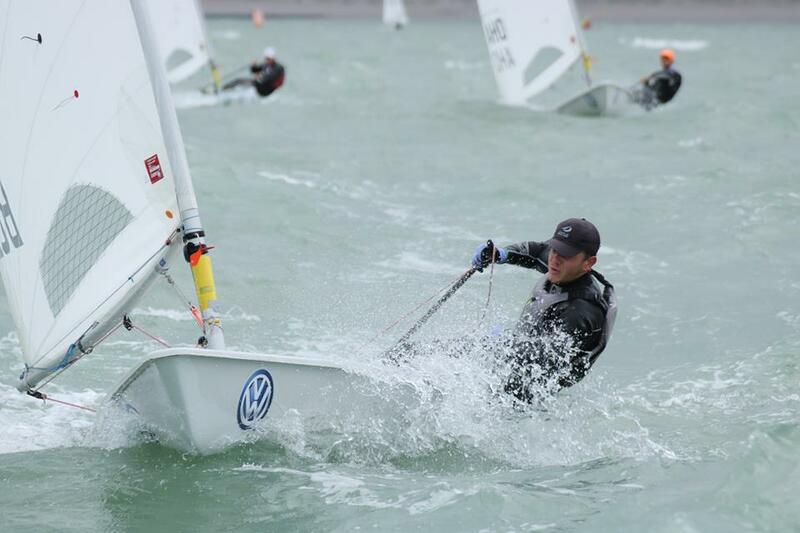 However, Joel Rodriguez Perez (ESP) and Jonatan Vadnai (HUN) are already setting themselves up for a repeat of last year’s World Championships, with each winning one race and finishing second in another, and taking the top two places after one day, only one point apart. 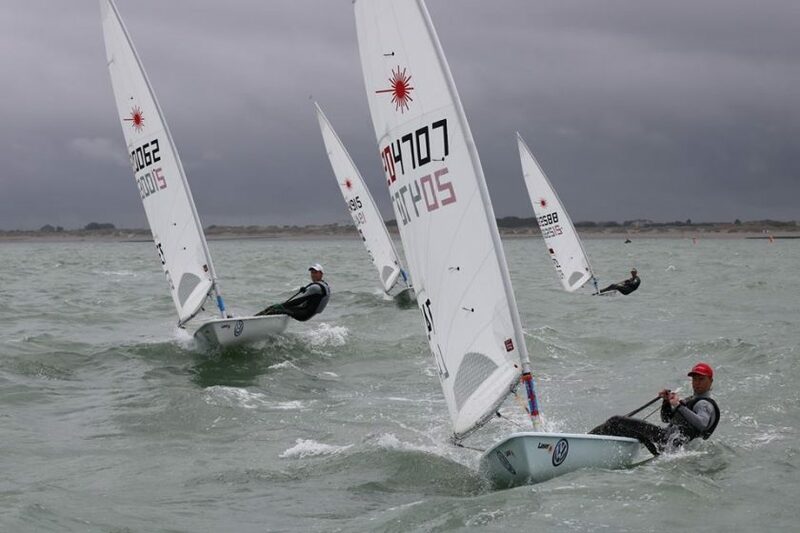 Although the race day finished in light breeze, a nice storm blew in just as the last boat was coming off the water, with high winds and a drenching rain, which at least saved most everyone from having to rinse off their boats at the end of the day.